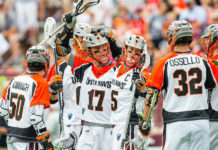 The Denver Outlaws (0-1) lost their season opener to the New York Lizards (1-0) on Saturday 19-15 in New York. Attackman Matt Kavanagh (five goals – one assist), midfielder Jeremy Sieverts (five goals) and midfielder Drew Snider (two goals – one assist) pushed the pace for the Outlaws to match the scoring output of the Lizards Will Manny (five goals – two assists), Mike Bocklet (four goals), Rob Pannell (two goals – six assists) and Paul Rabil (two goals,) but would ultimately be unable to overcome the high scoring Lizards. In the loss, Rock Canyon High School graduate Wilkins Dismuke recorded his first career goal and assist. 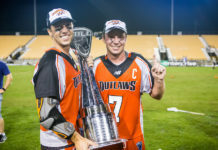 Newly acquired Josh Hawkins tallied his first goal as a member of the Outlaws. The Outlaws overcame a three-goal run by the Lizards and as halftime hit, the Outlaws only trailed by a goal. 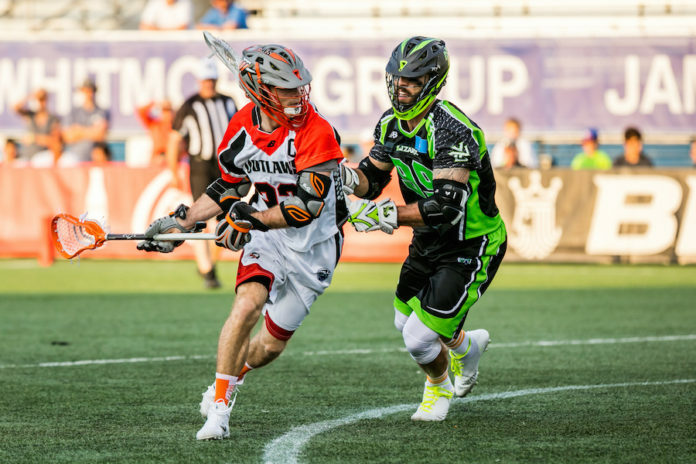 Coming out of halftime, the Lizards would rely on their high powered offense to combine for 9 goals in the third and fourth quarters to close out the game. Outlaws goalie Jack Kelly closed the game out with 10 saves after facing 27 shots — while Lizards goalie Drew Adams made 19 saves in the game.